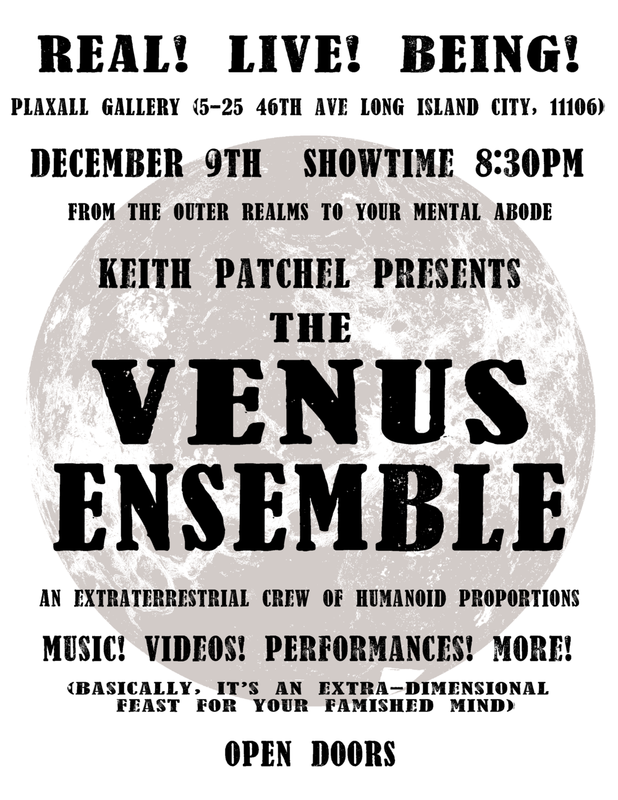 The Venus Ensemble is brainchild of Keith Patchel, and the sister project the Mars Band by co-creators Keith Patchel (acclaimed composer) and Carter Emmart (Director of Astrovisualization at the American Museum of Natural History). It combines the groundbreaking visual imagery and improvised live music of the Mars Band with a more "variety show" aesthetic, including a wide range of musicians, artists, and performers, with a focus on video imagery and all things "beyond the ordinary." KS Brewer enacts her performance piece 'Red Viewer,' and screens never before seen footage from her video, Hungry.